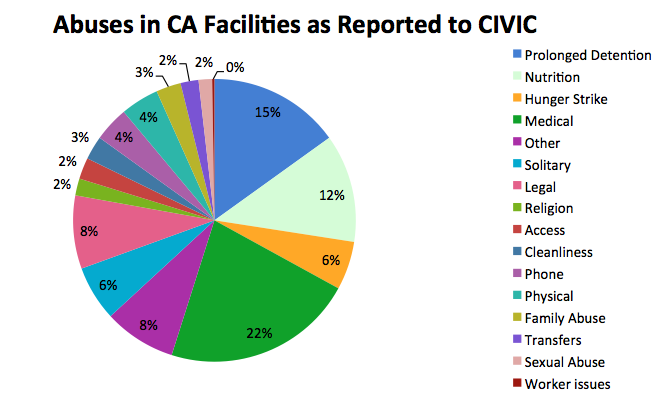 CIVIC regularly receives complaints from people in immigration detention in California. The top complaint is substandard medical care, followed by prolonged detention, and poor nutrition. For a state that currently detains about a quarter of all people in immigration detention nationwide per year, these figures are deeply concerning.